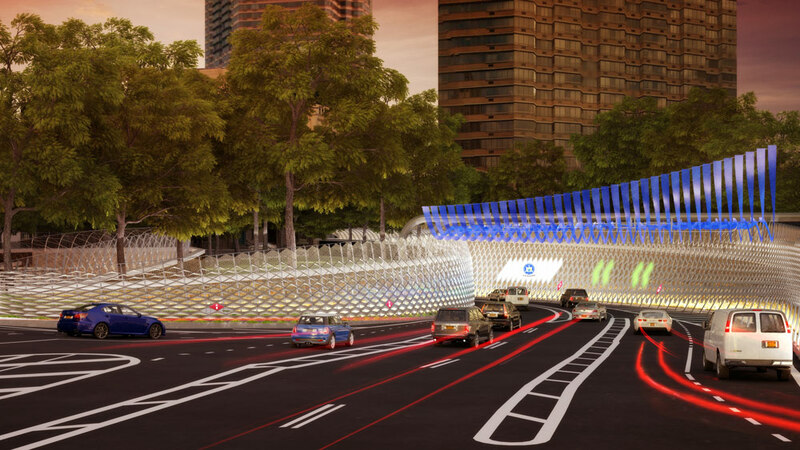 New Yorkers will soon be traveling through flood-resistant tunnels and over earthquake-proof bridges, complete with jazzy, customized LED installations. 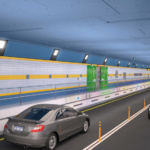 Governor Andrew Cuomo unveiled plans this week for infrastructure upgrades geared towards maintaining the safety, efficiency, and security of the MTA’s bridges and tunnel. 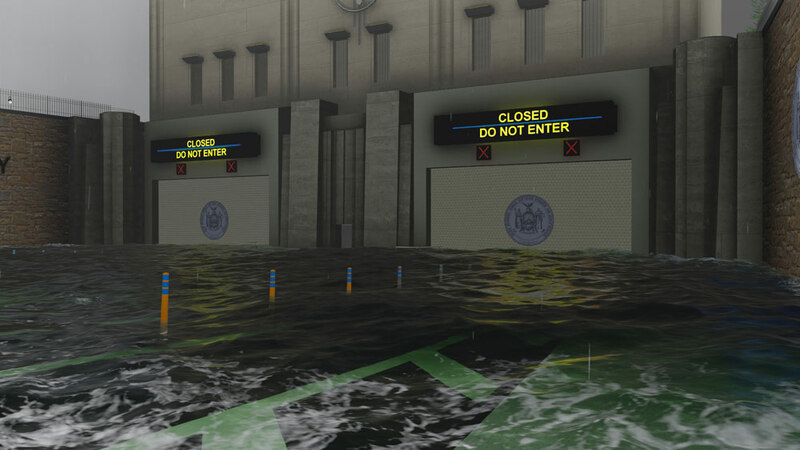 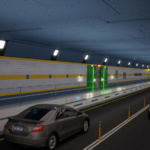 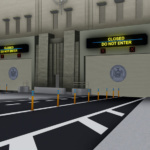 The governor’s initiative covers travel routes high and low: On the ground, the New York Crossings Project will bring flood-control barriers to tunnels to prevent the catastrophic water damage unleashed on underground infrastructure by Hurricane Sandy. 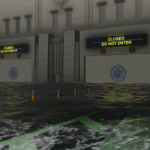 Previously built to prevent the impact of 100-year floods, the new barriers are capable of withstanding those 500-year deluges. 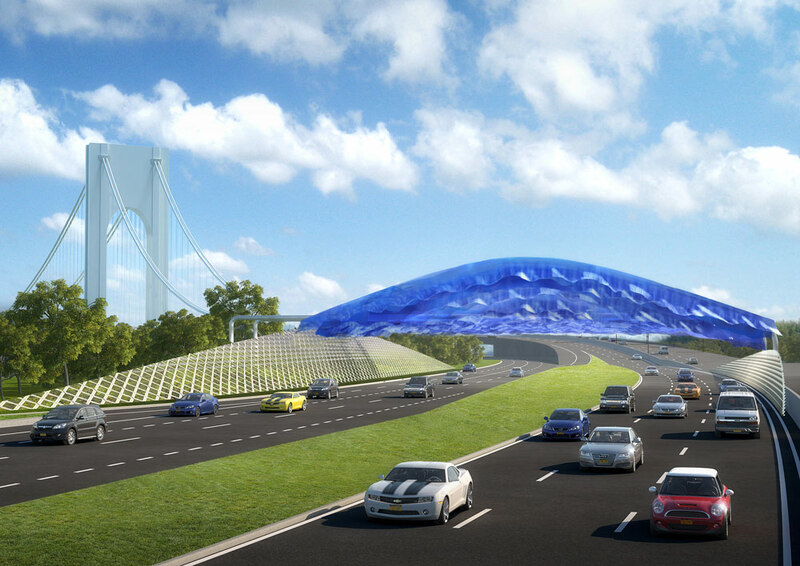 The plan also calls for the bearings on all bridges to be replaced with seismic isolation bearings to protect against earthquakes and other adverse natural events. 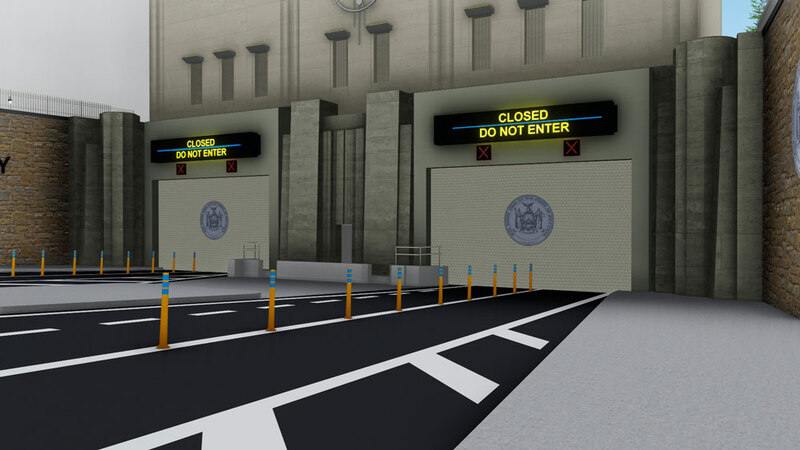 Bridge columns and piers will be reinforced, while concrete armor units will be installed to on the underwater part of bridge piers to provide further protection. 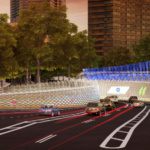 On those seven bridges and two tunnels, the state will install automatic toll booths to boost traffic flow and decrease congestion, saving commuters an estimated 21 hours of driving and a million gallons of fuel each year. Sensors and cameras will be installed on gantries above the road so monitors can record passing cars and bill E-Z Pass or invoice drivers of non-E-Z Pass vehicles. 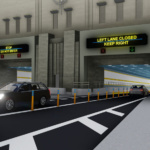 Invoking civic buildings—Grand Central Terminal, the original Penn Station—that are also nice to look at, the governor aims to create “modern transportation gateways” from the humble toll plaza. 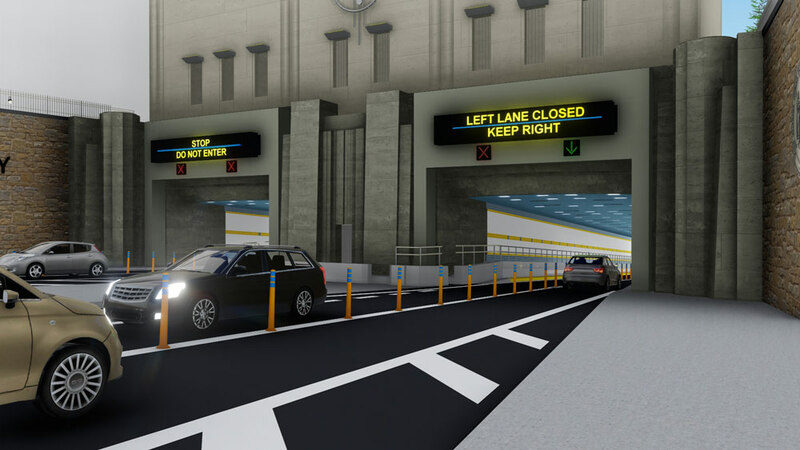 Tunnel plazas will be redesigned with LED-enabled “veils,” while gantries for the new toll booths will sport “wave” designs that also provide soundproofing. 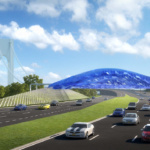 An all-day light spectacle on the George Washington Bridge, the governor explains, will provide a festive, Instagram-ready tableaux for visitors (and boost the sale of blackout shades for anyone living in a 10-block radius of the bridge). 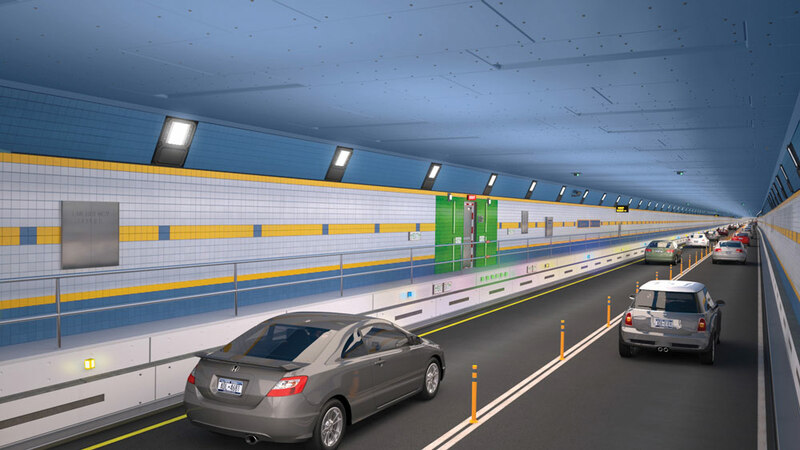 The first phase of the installation will begin this January, with all project being funded through the MTA’s $27 billion capital plan.